In May, city councillors voted to contribute $10.8 million towards a new aquatic facility in Gordon Rd, Mosgiel, if the Taieri Community Facilities Trust was able to raise a minimum of $3.2 million. The trust has raised almost $3 million. The trust's preferred site for the aquatic facility is the existing Mosgiel Pool site, which is near the council-owned caravan park. In an email, council parks and recreation acting planning and partnerships manager Rachael Eaton said the council and trust were working to establish the exact location, size and specifications of the proposed facility. "No decisions have been made yet regarding the future of the Mosgiel Caravan Park,'' she said. A 14-year lease on the park would expire on August 31, 2023, she said. 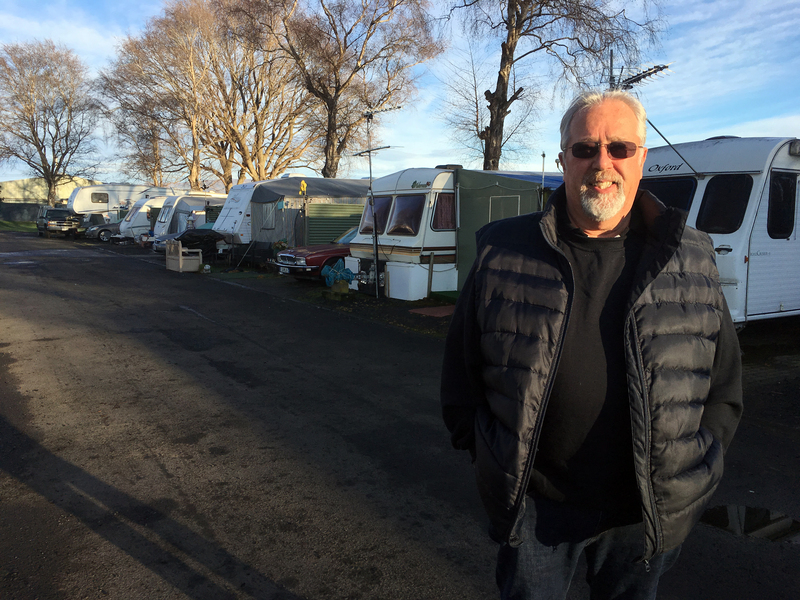 Mosgiel Caravan Park lessee-operator Paul Brooks, of Outram, said if the new facility was built on the Mosgiel Pool site, he expected the footprint to extend across some of his business. He had been given "no clue'' on the future of the park. He wanted the park to remain open so his tenants continued to have a place to live. A solution allowing the park to continue was preferable to the council buying him out of his lease in order to close the park, he said. He would be happy if the council moved the park to another site, he said. A bigger site could cater for freedom campers as well as a caravan park, he said. A shared site could be maintained by the caravan park leaseholder, he said. Mr Brooks said he was expecting an update from the council on the future of the park by the end of last month but no-one had called. Rumours were circulating among park residents about the council's intention for the park, he said. Park caretaker Roger Ludwig said he had lived in a caravan in the park for about two years. A dozen people lived in the park permanently and in summer the population boomed, he said. He hoped the council would keep the park open because it was handy to the shops and services in Mosgiel. If the council closed the park, he would move but had no concrete plans.